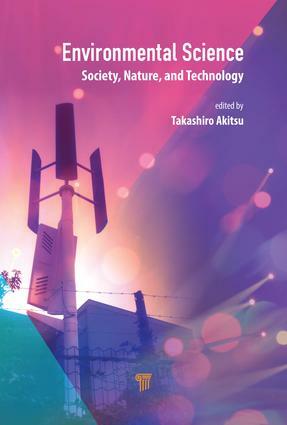 This book presents the current aspects of environmental issues in view of chemical processes particularly with respect to two facets: social sciences along with chemistry and natural sciences. The former facet explores the environmental economics and policies along with chemical engineering or green chemistry and the latter the various fields of environmental studies. The book was conceptualized in the form of e-learning content, such as PowerPoint presentation, with explanatory notes to a new style of lectures on environmental science in a university at undergraduate level. Each chapter of the book comprises a summary of the contents of the chapter; a list of specific terms and their explanation; topics that can be taken up for discussion among college students, mainly freshmen in liberal arts, and for enhancing general knowledge; and problems and solutions using active learning methods. Takashiro Akitsu is professor in the Department of Chemistry, Faculty of Science, Tokyo University of Science (TUS), Japan. He joined the university as junior associate professor in 2008 and became associate professor in 2012 and professor in 2016. Prior to this, he was associated with Keio University, Japan; Stanford University, USA; and Osaka University, Japan. He is a recipient of the Dr. Radhakanta Kajal Sen Merit Scholarship Award. His research is focused on inorganic chemistry, coordination chemistry (chiral metal complexes and their hybrid materials), and chemical crystallography.